Taking in Boots, Waterstones, John Lewis and Next, I’m on a tour of Exeter’s well known chain stores. But rather than looking at the latest product ranges on offer, my visit is taking me below these high street shops and I’m merely being told about their locations by my knowledgeable guide. Accessed through an unassuming entrance – it could be mistaken for a fire escape – to the left of city’s branch of Next, Exeter’s Underground Passages are a fascinating maze of tunnels that date back to medieval times. They are a unique tourist attraction for the city in that no passages of this scale can be visited anywhere else in Britain. About seventy per cent of the original network (stretching some 425 metres under the city centre) survives. 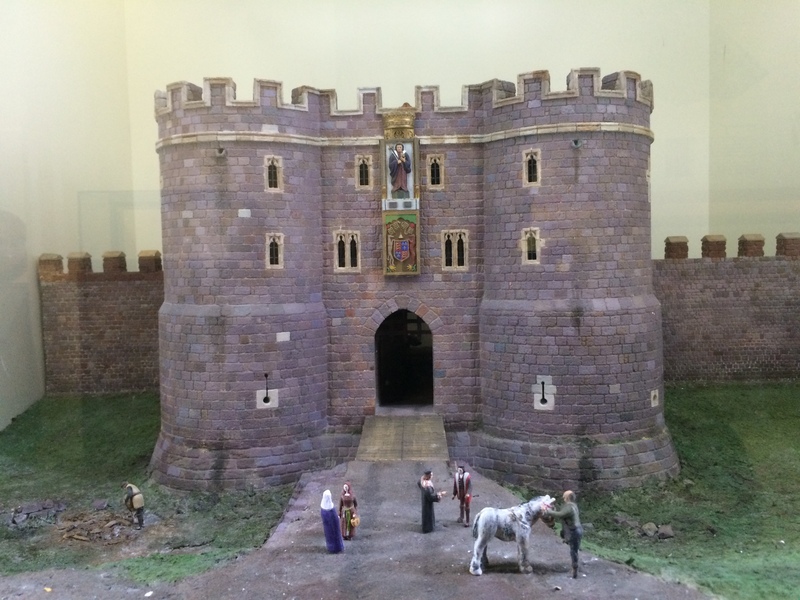 If you read my blog last week, you’ll know that Exeter became an important place in medieval times thanks to the cloth trade and it was also a thriving religious centre. And as it became more prosperous, the powers that be decided to do something about the poor supply of drinking water. They built pipes from natural springs outside the city walls and over time tunnels were built to enclose and protect them. Descending several flights of stairs – some five metres – from the Passages entrance, there is time to explore a small museum and watch an introductory video before a guide leads you on a hard hat tour of the damp, dark tunnels themselves. The tunnels have been enlarged (in height) over the years and so for the most part of the tour I could stand up (only at the end was an optional section where it was possible to crawl through a restricted passage with puddles – I declined)! And although lighting has been installed, in some spots we were reliant on the guide’s torch. This was particularly true when he wanted to point out specific features such as the only surviving remains of the East Gate, which once crossed the busy high street above. Cathedral authorities built the first private water supply in Exeter – carried in a deep trench dug in fields between St Sidwell’s well and East Gate and first referred to in 1266 – to serve properties in Cathedral Close. But by this water supply soon became inadequate and so in the 1340s the system was completely overhauled. Documents in the cathedral archives record the purchase of materials for the project (including lead, stone, lime and sand) and the wages of labourers and masons (who were partly paid in ale it seems). The oldest vaulted passages which can be visited today date from this time. They were built so that if pipes sprang a leak they could be easily accessed and repaired, without the need to dig up the street and cause considerable disruption. Until the 15th century the city had relied on a share (a third) of the cathedral’s supply, but between 1420 and 1429 a scheme was completed that gave it is own water supply. Pipes were laid beside the cathedral’s pipes until East Gate and the walled city was reached, where at which point new tunnels were built under the high street to carry the water to the Great Conduit (a lavish fountain that people went to fill up buckets of water and survived until it was demolished in 1770) in the centre of the road at Fore Street. The wealthy had water piped directly into their homes. Much of the underground area that can be visited today dates back to between 1492 and 1497 when a section of the city passage was rebuilt. Yet despite the distinction between these ones and the cathedral scheme, both closely intertwined and are covered by the same 20 minute tour. When English Civil War broke out in 1642, the Parliamentarians ordered that some of the Passages should be blocked up with rubble and stone to prevent the city’s defences being breached and some of the lead piping was used to make bullets. The system only became operational again as a water supply in 1655. The network was greatly improved between 1805 and 1833, when some parts of the Passages were deepened and the lead pipes were replaced by cast iron ones. But in reality the writing was on the wall for system as a means to carry water to Exeter, particularly following a serious Cholera outbreak of 1832 when many died. Cathedral Close is said to have been supplied through the Passages until 1901, yet in reality the pipes had been put out of action in the 1850s as the supply was disrupted by building work in the city. Guided tours started up in 1933 – initially there wasn’t lighting – and some people are said to have sheltered in the tunnels during the Second World War. The new entrance which was opened in 2007 as part of the Princesshay development has meant accessing the Passages is now a lot easier and there is also a small museum with some useful information. 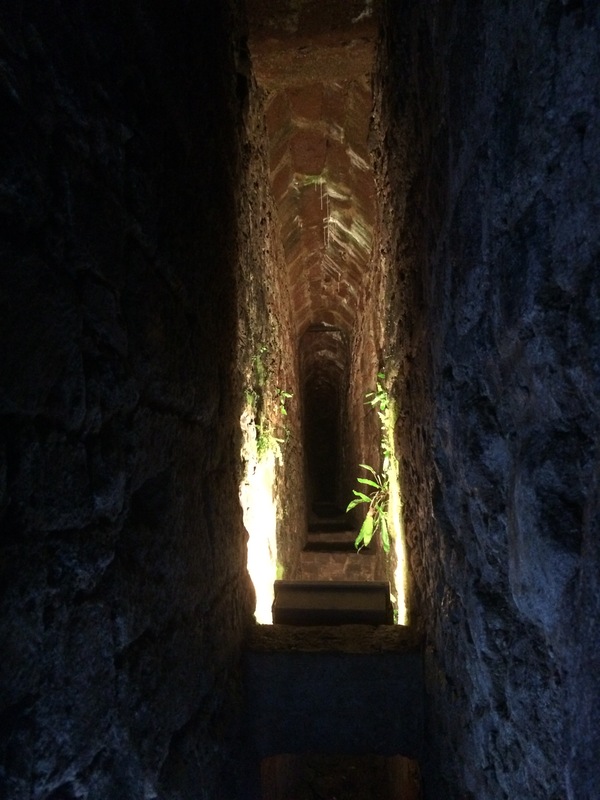 Exeter’s secret underground world is waiting to be explored.